recipe for crazy blog: Draw to Win! Happy Monday, friends! I hope you all had a fantastic Easter. I'm popping in today to share some really exciting news about an upcoming giveaway. For those that have been around these parts for a while now, you know I challenged myself to draw something every single day for the month of October last year. People joined in the challenge and it grew into something more than I could have ever imagined. So this year I made it my personal goal to sketch every day for an entire year. So far I've only missed one day! Early this year I asked several artists friends to "host" the challenge for a month. 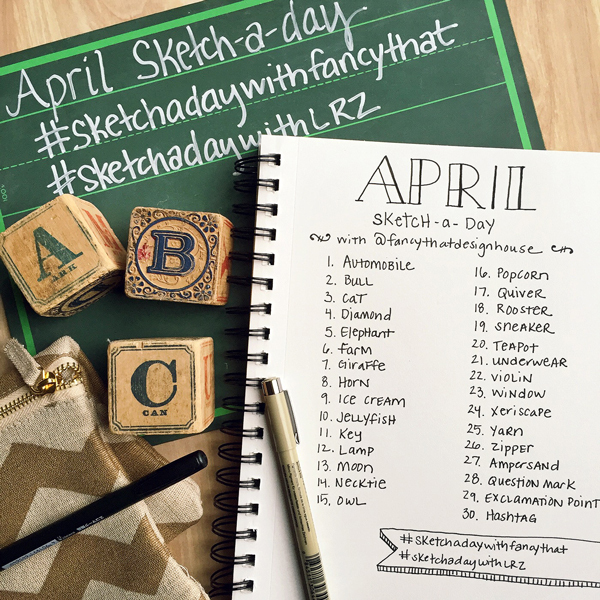 They come up with a list of things to draw each day, we all draw the same thing (or our interpretation of it), post on instagram with the tag #sketchadaywithLRZ as well as the hosting artist's hashtag. Friends like, Lori Danelle, Lindsay Hopkins, Katy Fultz, Becky Dawson and Kimber Campbell have all led a month, each bringing their unique style and inspiration to the challenge and I'm so thankful for each of them! Next month my friend, Stephanie of Fancy that Design House will be hosting. I just love her style and am so excited to draw with her for a month. I hope you'll join us! You can find Stephanie on instagram @fancythatdesignhouse. 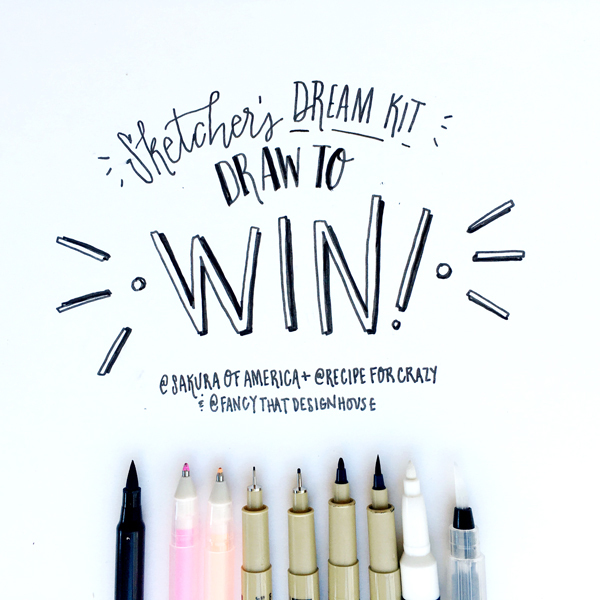 And as a little encouragement to try sketching with us this month, the amazing people over at Sakura of America are doing a little giveaway! 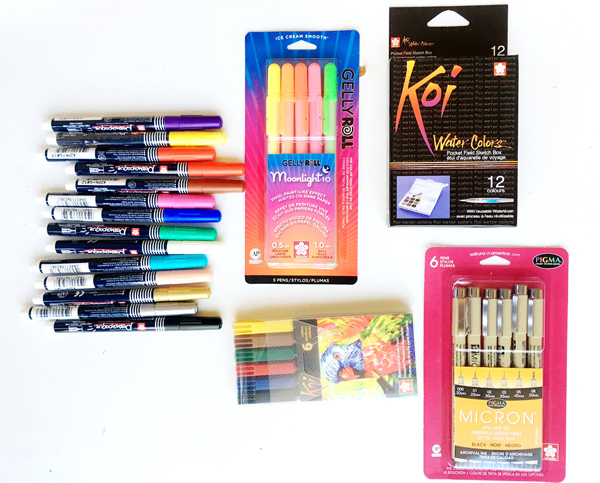 They sent me a mix of pens, paints and brushes to sample this month and then another set of goodies to give away at the end of the challenge! I've already been playing with some of the supplies and can't wait to share them with you. It's going to be such a fun month. Your chance to win this incredible artist prize pack is easy! That's it. Each person that draws every single day with us will be entered in the giveaway and a winner will be randomly selected on May 1, 2016! The winner will NOT be selected on the level or ability of drawing. This is not a contest to see who's the best artist but to encourage people to try something new. If you've never sketched a day in your life, now's the time. Seasoned artists, join us and inspire us with your creativity! I will announce the winner and ship out you goodies right away. Thank you, @sakuraofamerica, for sharing your goodies with us. Here's a little sneak peek of some of the others artists joining in hosting the sketch-a-day challenge in the coming months: @Gingiber, @JagoSilver, @AllenDesignStudio and many more!!! I'm so excited to keep this thing going and look forward to seeing some new art! Good luck and let's draw! Does our instagram need to be public? I may have to create a public account for this! Talk about motivation to get creative and stick to the challenge!! Wow! Sounds like a fun challenge. I may give it a try ;) Thanks a bunch!